Excellent tips! 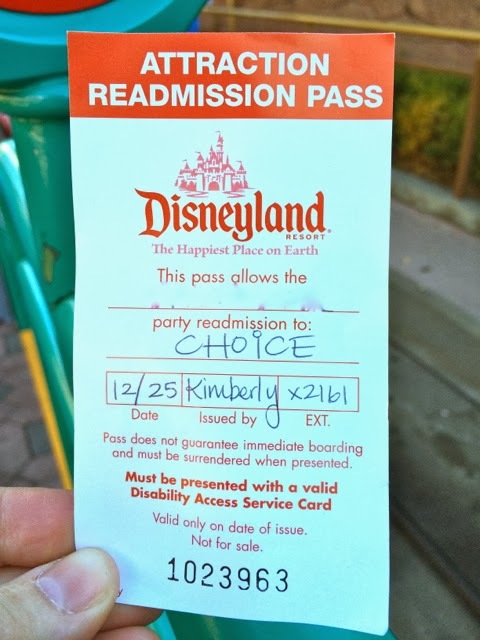 I went to Disneyland back in November but since I was solo, I couldn't use the card. Like we went to Disneyworld and used the GAC - I cannot wait to return because like Max, Norrin is a Cars lover. I know he'll LOVE Carsland. Thanks for the tips! Sounds like you had a great trip! We were at Disney World a few years ago, but we didn't get a GAC (didn't even know such a thing existed) and we still had a good time. Like you, we did the park hopper, hit the parks early, went back to the hotel for naps and the pool in the afternoon, then went back to the parks again in the evening. The only trouble was character phobia, but since we seem to be over that now, maybe we'll give Disney another shot soon. Ellen, this is indispensable! Thanks! Given how many jerks were abusing the former system, they clearly had to change it -- sounds like they're still as accommodating as they can be. Love this article -- so helpful -- so complete! Would love to have you on the show to discuss in depth! This was the most helpful post I've seen about the new system. 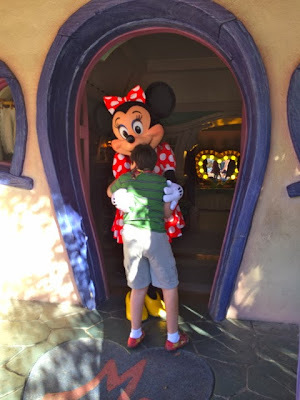 We're headed to WDW at the end of this month with a child who needs accommodations. So, thank you. What if your child doesn't have a Specific Diagnosis? Do I need to get all "She has cognitive disabilities of an unknown nature, that causes her to have no concept of time, limited ideas of turn taking and line waiting, zero grasp on the idea of "Come back later", could suddenly change her mind at the entrance of the ride, oh, and low muscle tone that causes fatigue and epilepsy." Really, the lack of concept of time and waiting and that is the biggest worry. They cannot ask you for your child's diagnosis. They ask what accommodations you need so just articulate what you need & why. So grateful to have another first hand experience with the DAS. This is very helpful information. It was so frustrating to see people bash Disney and the system who never tried it. Great write up! We were just there earlier in December & had a pretty good experience although we ran into more grumpy cast members. I blogged about it too http://moriahbettencourt.typepad.com I didn't know about the re admission passes, those are exactly what we need. We're going again in February so I'll be sure to ask for those. In general I believe that a positive attitude goes a long way, it seems as though many of the cast members have been bombarded so they are hesitant but once we smiled & made it clear we were happy to work within their system they warmed up. 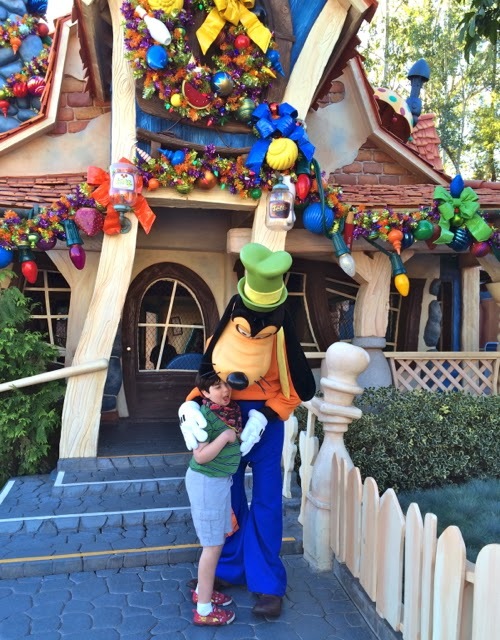 I was at Disney World in late Dec. Having CP, Migraine disorder, and using GAC. I found it disgusting that a cast member asked me in front of a whole crowd of people what I needed and I then had to explain everything. As a parent this might be fine... you are advocating for your child. As an adult this felt down right dehumanizing. They can't ask me what my disability is called but it is alright for me to have to explain that extended time in the sun can lead to migraines and seizures? 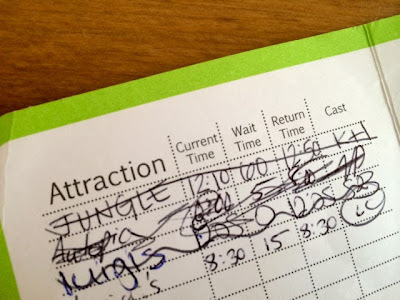 I did use a combination of fastpass and GAC but we found that at Disneyworld they were VERY strict about returning with in your allotted hour while using GAC. I will admit that Disney during the holidays is at its peak. I will also point out that everyone and their cousin tries to rent scooters and use the wheelchair line. That said, your photo on the pass and the constant need to explain your "limitations" in public 10 times a day should more then warrant that you get to ride a popular ride more then once in your entire trip. Also fatigue is an issue. If you have a 9 am fast pass and then want to ride again using your GAC (They will not let you stay on if you are on a poplar ride such as Buzz Light Year) you might be in for another 2 hr wait... many cannot stay in the parks for that long at a clip. I am lucky that in the cooler weather this is not an issue. Mostly, Disney used to be my favorite because I got equal access to rides, was able to keep up with my friends, and was able to enjoy shows and rides without utter exhaustion setting in. This was the ONLY place that allowed me that level of access. Now, having to go all over the park explaining how I am "different" and how that effects my ability to "vacation" just kills a huge piece of it for me. I am the "disabled" one enough in this life. Maybe my experience would be different if I "looked" or "spoke" as if I had more of a disability, besides just sitting in a chair. I know it would have been different if I was a child or had a parent advocating for me. But, why should my vacation that I pay for, be less of an experience now because someone without my disability is put in a place to judge my needs in any way? It saddens me so so much. Everything I've read about the new DAS system points to Disney wanting to provide accommodation, so perhaps you could try starting off by saying that you'd rather discuss your situation privately? That would seem like a reasonable request to me. Hopefully it would seem so to them as well. I hear your frustration. As a family with no issues, but loves Disney, I have managed 3-4 trips there where we never waited more than 10 minutes for a ride. It's really all about planning. The time of year you go, the time of day you go. What rides you hit first, maximizing your fast passes. Also knowing when to take a break and come back later. I'm sorry it is uncomfortable for you to explain your situation, but if you want the special treatment, you need to do so. Otherwise, everyone would be asking for the special treatment, making it not so special any more. I recall planning my last visit (before this new program went into place) a friend said to me, "Just go in and tell them your kid has issues waiting in lines, they'll give you a special pass, no questions asked. We do it all the time." Being ethical, I wouldn't dream of doing it. But I can see how the abuse was out of control. I'm sorry that this was your experience. We are annual WDW passholders and we go to the parks once a month for a weekend. We are not a family with disabilities but we do talk to a lot of other guests. We actually spoke to a cast member (on their day off and playing in the parks) and I couldn't believe she actually admitted that she tells WDW that her husband has seizures when he doesn't! They do that to abuse the system. And suggested that we do the same! No way would we pretend to have a condition just so we could get ahead in line. Shameful for this person to suggest such a thing. I hope your experience in the future in a better one. Type and print out your need for accommodations on a small card or paper. That way, you can just hand the paper to the guest relations/cast member and let them read it. Make a few copies, in case you lose any. This is awesome, my daughter has sever sensory issues and anxiety and this would make a trip more enjoyable and now possible. As she cannot handle amusement parks if we were to go like a "normal" family; she couldn't handle it. I am so glad you posted this!! My son has sensory processing disorder and anxiety too. I hope Disney World is that easy. We go in 6 months. I wonder if the band director would ask me about this before the band trip, should it be here again. I do not need it because I'm autistic and dislike using my accommodations (I call them hacks) to get a leg up. and learned to build up the patience to stand for two hours. People would look at me like "What are you doing?" if I had it. We had a good experience with the DAC in DisneyWorld during it's roll-out week in October, with two SN kids in our party. It was particularly good, because each child got his own card that was valid for the whole party, so we could book a ride on one child's card while waiting for the return time on the other's. And I loved stroller-as-wheelchair, it allowed quicker and less overwhelming access to things even when we didn't have a return time or fastpass. 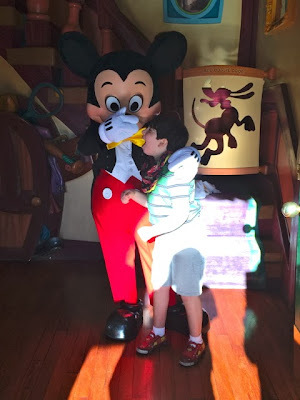 Just back from 2 weeks at Disney World over the holidays...we found a couple of small differences, but this is a good primer. - Officially, the DAS card is good for six people, including the person with the disability. In practice, the staff were generally willing to accommodate our whole party, even if we were a couple of people over 6. - If the regular line was more than 30 mins (not 10), we got a return time. Otherwise, we just entered the FastPass line. - At Disney World, you get the return times from the staff at the FastPass entrance of the ride. 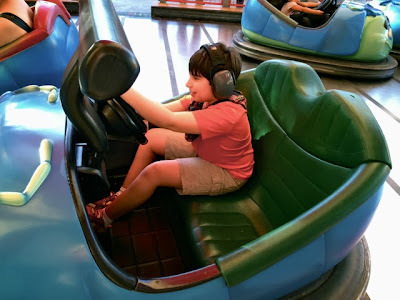 Having kiosks that can give times for any ride anywhere would actually have been really convenient, as the adults in the party (mainly hubby) were crisscrossing the parks multiple times to get the times lined up. - The disabled person does NOT have to be present to get a time, only for your party to get on the ride. We had two "cast members" confused on this point (on the same ride). I spoke to someone in the Guest Relations office, and he apologized, got the names of the staff members who needed to be reminded, and gave us extra FastPasses by way of apology. Sadly, he also told me that with all the confusion and frustration over the new system, cast members have been assaulted by irate parents. Not cool. This was such a great post—both for the information and for the awesome photos of Max. If I take my kiddos to Disney, I'll definitely be back here to take notes. And kudos to those cast members who made the trip great. Little things can make such a difference. Thank you for posting about this. My son is 4 and has a lot of the same needs as your son. It is great to hear that Disney is able to make it fun for them too. I want to take him to Disneyland but was so worried about he would handle the lines and all the people and noise. It does sound like it's workable, the only thing I disagree with is having a Photo of your child with his/her name on it and having to explain in great detail in front of everyone your childs specific needs. Obviously this has to happen in some way, but for a child to have to listen to this information rattled off in front of strangers is embarrassing, I know my child would be embarrassed. Perhaps they could do a Card or Checklist system in writing with a Comments section underneath so our children don't have to be degraded in front of the entire park. If one parent can stay outside while one goes inside it's fine, but if you are flying solo? Having to explain in detail your afflictions and what your child needs is worse than a damn letter form a doctor not some half trained CM who might be a high school kid. 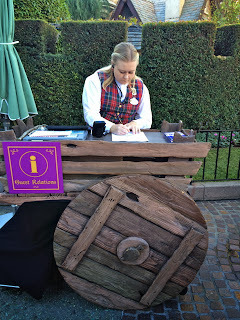 There has to be a system to have a doctor note admitted into files because there is no hippa violation the park has no access to Patient files .It is lovely that it works for some but it clearly don't work for a huge number of people. Just as an FYI, as a frequent Disney Visitor with a child on the autism spectrum. Certain parks in Disney (specifically EPCOT) will not allow you to jump to a different ride without re-"stamping" the DAC. So if your child does not want to go on a ride, and you take your DAC to a different ride, they will not let you jump in line. Just went yesterday and got the das card. At first I felt a little phony asking for it since my kiddo is 22 months only and like every typical 22 month old, has difficulty waiting in long lines. He's missing some genes on chromosome 21 and is severely delayed in all areas and most people assume he's less than a year old. Didn't realize how much I needed it until I had to wait in a short line without my stroller .. It would've been impossible to wait in a line longer than 10 minutes because he is very squirmy and gets sick easily so large crowds in a confined area would have been no good. Thank you for the tips! The word on the street and on Disney call centers is that effectively immediately readmission passes and other accommodations will no longer be provided alongside the DAS. But with everything surrounding this messy transition, there is very little information being provided and two CMs / phone reps don't tell the same story. Thank you... very informative. That cast member Mike brought tears to my eyes. Does anyone know if this card also would work for adults? My husband had PTSD and can not do the lines crowded spaces but would really love to do a Disney park with our girls. I enjoyed reading about your great trip - your positive attitude went a long way in making the trip a success. In all honesty, in our case, the whole process sounds like it would be exhausting. My daughter is medically fragile, quadriplegic, seizure disorder. Maybe I would change my mind once I try it, but I feel it is too expensive to take a gamble on it, at least until all the kinks are ironed out. Since it's a new system, it sounds like they are not being consistent in how they enforce certain policies, so it depends on the mood or whim of each cast member on certain things. Hopefully, it will get better with time. How does the DASC work with The Roger Rabbit Ride? Do you have to go through the general queue (as people with wheelchairs have to do), or do you get a comeback time. I can handle the ride, but not after the long line through all that sensory stimulation. You have to go in the Fast Pass line. What I don't understand is why parents subject their children to situations that could potentially cause distress? Our twins are both on the spectrum and while we know that although they would enjoy@ some aspects of the trip, it just wasn't worth the the meltdown that might occur. Disney is no different than any other place we take our children. Our children have issues everywhere - school, the grocery store, church, the park, home - everywhere and anywhere. I guess what you are suggesting is we should never take our children out of the house? I did that for the first year after diagnosis. I hid my children away from the world. Not because it was better for them. I did it because I could not take the constant barrage of criticism and comments from complete strangers. We have all been through it. It still amazes me, a decade later, how often I get negative comments from strangers and how infrequently I get offers of assistance. On a day out I get about 40-50 negative comments. On average I get about five offers of assistance a year. And my children are now both in wheelchairs. As a single mom that means I am pushing a special double wheelchair that is a beast. So what you are recommending is my children and I should still be hiding in our home so the rest of the world doesn't have to be inconvenienced by us? We take our children out because they are human beings and they are part of society. We take our children to Disney so we can see the looks on their faces as they experience the magic in a way we will never get to (and apparently most will never understand). The pictures of Max are precious. Especially for those of us who know how hard every single day is. As a mom and a special needs advocate, it is not fair to hide your child away from the world. Also, I have 5 children and it is not far to my "typical" kids to not visit Disney because of their sister. My one daughter is severely disabled, 2 of my boys have mild disabilities, 2 are typical, my spouse is disabled from cancer and I suffer from a condition similar to MS. We put off Disney for a long time out of fear, but we are finally booked for next month. 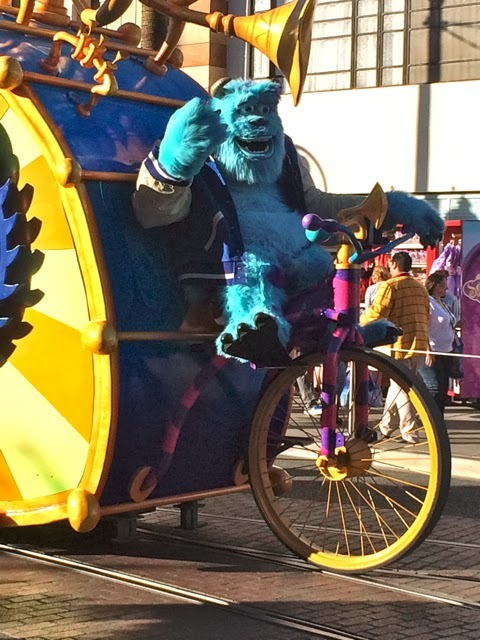 I am really scared that due to endurance issues because of our disabilities we won't be able to do much in the parks. But it wouldn't be fair to my children not to try. Love this site because it reminds my of my 16 year old son when he was younger. 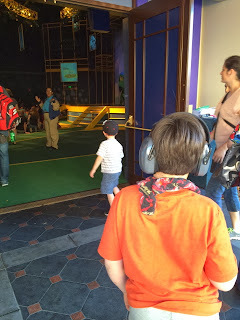 We have only visited Disney parks 3 times (traveling from Seattle) and used the GAC. I just explained to my son that the new card rules are just like when he went to Cars a few years ago, and he agree that this is now perfect for him but it may have been too difficult "When I was younger and still a hand-flapping, anxiety ridden, non-communicative boy who loved Disneyland," (his words- verbatim) lol. He asked why, and I explained that a couple thousand people were claiming to be disabled when they weren't. He looked at me as though I said Disney now requires everyone to show up in their underwear! First, he laughed sort of quite and low, and then he practically guffawed, "People want to pretend to be disabled? What kind of twisted mind does that take?" We stared at each other and shook our heads, remembering the pain, frustration, and tears over the years from tests, therapies, schools, and food allergies. We have come a long way, and my son has grown into quite a phenomenal young man who gets a 4.0 in school every year and sells his art to raise money for Autism. I've used the GAC in Disney World a few years ago for myself. I'm an adult with several invisible issues. Does the new system work the same way for adults? I also need to turn the stroller into a "wheelchair" for some of my issues. Do you think I would have a problem? I could not do Disney without the GAC. We used the DAC for our 2 day trip in May and found it to be SO tiring! We were split up a good part of the day, with one of us parents going back and forth to the kiosks. 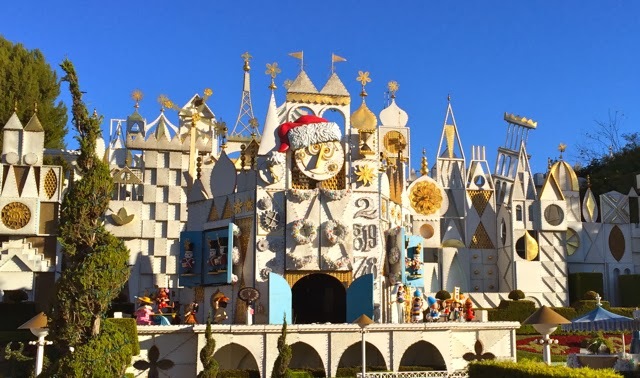 We accidentally got separated and by the time we were reunited with one another, I wondered if the trip to Disneyland was even worth all the EXTRA trouble a disabled person must go through to access the ride. I agree that the system should be accessible at each ride's exit, so at the very least it could be made in a timely manner. We wasted so much time and precious energy just trying to schedule ride times. 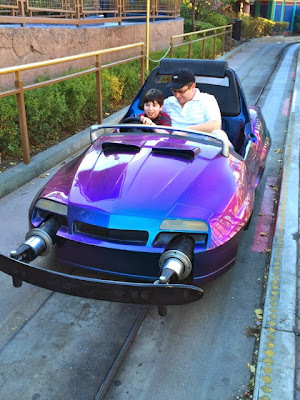 The very worst was Radiator Springs Racers (and of course my child's VERY favorite!) I took the return time and we waited the hour 1/2 off to the side, then after the time elapsed, we went to the queue. The ride was closed. I understood the ride broken... so we went on to another ride line and waited over 45 minutes in it. It was so hard. My kiddo also tires due to health reasons...afterwards we went back to the RSR and the line was SUPER long, but we thought we could enter it and get to the handicapped entrance...NO GO. We had to wait in the same line as the fastpass people (who all charged the line with re-ad cards) and ended up stuck in a maze of bodies. We couldn't get out without a huge scene, so we tried our best but it was torturous. I cant imagine treating the handicapped in such a way. Why they couldn't let us in to the handicapped queue via the exit so we could keep our sanity is beyond me. I hate the change in the DAC and pray they change it to accommodate the handicapped instead of making access harder. When I told the gal at the Carsland kiosk the trouble, she acted like she didn't even hear me and was curt in her responses. It took us 3 hours to get on the ride, so as the pass says, it may take you longer than a non-handicapped person to access. This to me, stinks of unfairness...but hey, my kid get's a front row lesson in life's not fair, and so will most who try to utilize a program they think is to help them, not hinder them! When we go to Disney with our daughter who is now 26 we have an index card that says she has autism and hold it up behind her when she is hugging the characters with a lot of excitement. The characters make a big fuss over her and she loves it! SCREW Disney! I live in Orlando and am totally BOYCOTTING ANYTHING Disney, including the parks. I have a twenty-something autistic son, and this new "system" is nowhere NEAR "equal access." If you figure out how much you, each family member, and the disabled member are paying for the Disney park that day by the MINUTE, and then figure out how many "walks" you had to take with the disabled person (whether they wanted or needed a walk or not) just to play the line game, you'd realize you were robbed. The disabled person NATURALLY slows the group down, because they have plan more carefully, take more breaks, buy more drinks, take some time out for breathers because they're overwhelmed, avoid certain areas that are loud, etc, etc, and they and the group STILL PAY THE USUAL PRICE, not discounted. Other fortunate people are constantly running around the park, teens taking off with the younger siblings giving the parents a few breaks, etc., and they are able to squeeze every dime out of their ticket prices -- WE CAN'T. But we NEVER COMPLAINED about THAT. 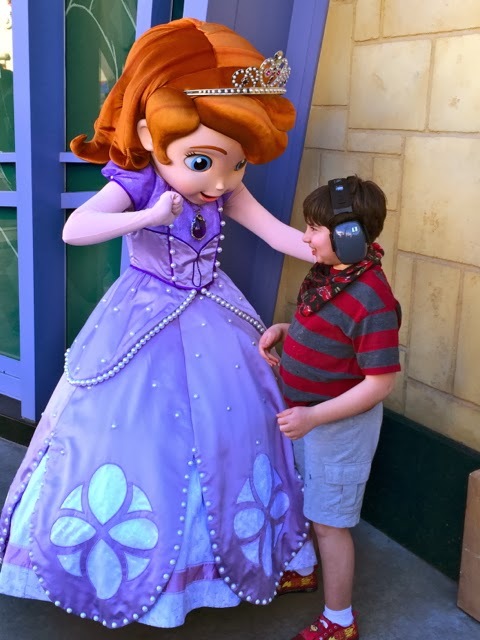 All we EVER ASKED DISNEY was to have the ability to get on as MANY RIDES as others, see as much of the PARK as others, and MAKE UP FOR THE TIME WE LOSE because of the disability! I've even gone with friends who had a wheelchair user....we were slowed down CONSIDERABLY, and didn't get to do as much as the people rushing around the park. NO DISCOUNT NEEDED. Just EQUAL ACCESS, DISNEY! EQUAL! We need to make up for the time it takes for some in toileting issues, meltdowns, and the like, and the ONLY WAY to do that was the way it WAS -- the DISABILITY PASS. I would NEVER go to Disney if they expect my family to have to waste MORE of OUR ENERGY going back to check-in at the third reich station to report WHERE WE'RE GOING and WHEN WE SHOULD GO, and WHEN WE HAVE TO TAKE THE BREAKS, and WHEN MY SON HAS TO ARRIVE at that ride, REGARDLESS of his state of arousal at that minute. WE WANT FREEDOM to walk around that park LIKE EVERYONE ELSE, and if WE PASS A RIDE that we didn't even know was in the area, or that my son never went on and NOW is miraculously CONSIDERING much to my AMAZEMENT? I want to be able to WALK RIGHT THE HECK IN WITH HIM like EVERYBODY ELSE -- WHAT we want, WHERE we want, WHEN we want, with WHOM we want, and HOW we want to! I would NEVER go get my little HALL PASS signed by Disney to let them know we finished one ride and want to book another. We want SPONTANEOUS PARK EXPERIENCES LIKE THE REST OF THE WORLD. FOR WHAT THEY'RE DOLING OUT NOW, IT IS NOT WORTH THE TICKET PRICES FOR MY FAMILY, considering we're barely going to get ANYTHING out of that day that is COMPARABLE to what other families are getting for the dollar. SAYONARA, DISNEY. I would be MORE THAN WILLING to get THE DOCTORS NOTE to get a yearly pass or something like that, and Disney should OFFER THAT to anyone who wants to VOLUNTEER that consensus form the doctor. Doesn't need PERSONAL INFO. Just the STATEMENT SIGNED by the physician that they can CONFIRM BY MAIL OR PHONE WITHOUT having to ask for ANY PERSONAL MEDICAL INFO. Disney CHOSE to 'fast pass' the disabled people, including the children, and that was a HUGE MISTAKE, because IT WAS NOT THE LINES WE WERE COMPLAINING ABOUT ALL THE TIME -- it was the ABILITY TO BE SPONTANEOUS as we walked around the park and went on what we could WHEN we could, according to the ever-changing behavioral state of the disabled person. The "rest of the world" doesn't get to be spontaneous either. They have to get in the line and wait ~ sometimes 10 minutes, sometimes 2 hours. They don't get the accommodation of getting assigned a time to come back and not having to just sit around waiting, waiting, waiting. Disney is doing the best they can to accommodate those with special needs while cutting back on the abuse of their policies. Yes....but where you are mistaken the rest of the world has the "choice" to decide where their energy will be directed, where as the above comment is explaining that the simplicity off being spontaneous with their given vacation itinerary was completely limited when Disney implemented the new system...In the end Disney's attempt to punish those abusing the system has negatively impacted the integrity of the disabled and diminished the equality in having the opportunity to obtain the same experience as the average individual visiting Disneyland. I visited Disneyland with my sister who as visiting from Australia (I live in California). I also have Mutiple Myloma cancer and currently on Chem. I don't look sick but waiting in the sun is something i cannot do even with my big hat. And standing line is difficult for me although I did manage walking around the park all day. I used the DAS card, I was surprised they didn't want to see proof. As we went on a Wednesday between Halloween and the Christmas decorations there was hardly anybody there. Only needed the DAS pass for a couple of rides. But it was wonderful for our visit. Hi there! Could you please write an updated blog? I know that this takes time, but I think that new tips would be extremely helpful. I am disabled from 7 spinal surgeries & severe anxiety, and have a 2-year old who loves Disneyland. We were given an AP for Christmas, and being a single mom, it's very difficult to wait in the lines for so long with my post-op issues. The last time we went, at the beginning of January 2015, it was terrible when trying to get a disability access pass. 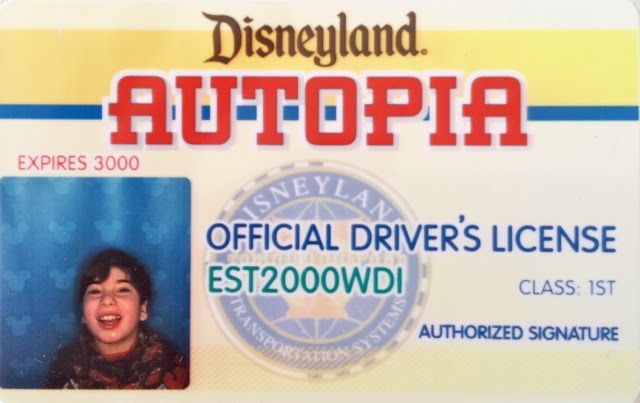 They now put it on your AP card or ticket itself, and scan it; they no longer use the card where they take your picture and write return times (but they will write down reminders of times if you have one and ask). They INSIST that we need a "wheelchair" or they tag our stroller to give it "wheelchair access" so I can "put my weight on something while we wait through lines". With my condition, it's the standing for long period of time that is a problem, and putting my weight on a stroller doesn't solve it. I can't exactly ask my two year old to push me around in a wheelchair, either. After speaking with the man at City Hall for 40 minutes, and being repeatedly shushed and denied, we asked for the supervisor. That took another 35 minutes of waiting, standing, and finally she came out. What did she do? Argued with me for yet another 45. She finally agreed to give the pass and asked me "Oh, why didn't you just say so?" (regarding telling her about my surgeries, which I had). Need I include that the first man went about things very RUDELY- he continued to say that with my situation I can stand in the long lines just as a person who is not in the situation. We love, thank & respect the cast members always, but last I checked, this guy was not a neurosurgeon yet a City Hall "employee". 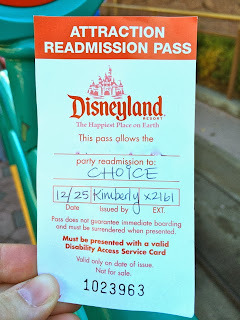 We have used it a few times here and there, but had I known this is how difficult it would be to be accommodated (the pass must be re-evaluated every 60 days) I would've asked my family to refrain from buying us an AP (now there's nothing we can do- it's not like they're gonna do a "return" on a Premium AP). After seeing how it all works, going to the exit etc., the people who use wheelchairs or who have wheelchair tags on their strollers have a much smaller wait time than the people with the Disability Access Card/Pass (which is what they're insisting on now instead of the Card). With the Disability Access, you still get the return time, and when you return to the exit of a ride to get on, there may be a couple people in that same line, and that's including the wheelchair tags, who do NOT get return times- they simply walk up to the exit & hop right on! I know a couple families with autistic children, who are not pleased and feel played that not everyone with a disability gets a return time, but yet they do have to wait with their children who don't do well in that area. Shouldn't guests in wheelchairs have the same "waiting" procedure as guests with non-mobility disabilities? That's just my opinion and what my experience has been this past month. If you could do an update on this we would really appreciate it, but if not I understand! I would really like to know what it going on behind the curtains that provoked this drastic change in their disability procedure, since all I have picked up on is what I've seen out there with guests and my own person experience & opinion. Thanks! We are going in July. I saw that they make exceptions for people who cannot stay in the park long. Do you know what those exceptions are? Do they do it the way they used to? Thank you so much for sharing all of this information, Ellen! I wrote a post about a year ago about all of the happenings at Disney. What a shame that people were taking advantage of their system to the point where they needed to redesign. I'm so glad that there are parents out there who can read your tips to help them navigate this tricky new system. You are, as always, such a rockstar! 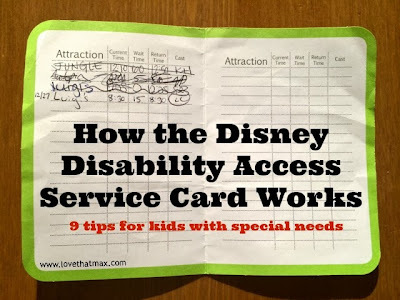 Just left Disneyworld last month and I witnessed so much abuse with the disability card. Grandma had a motorized scooter and was granted a pass. Her entire family of 11 people were ushered straight onto the ride....except she did not ride. She waived goodbye and waited for her party at the exit. It also boggles my mind how a child who cannot handle crowds, lines, lights or noise is expected to ride the rides. No child wants to wait in line and most have a meltdown but that doesn't mean they all deserve to be ushered up front. Those same kids were seen front and centre for all parades, light shows and fireworks. So much for sensory issues. There are people with serious needs but too many people are abusing the system. Your "spectrum" kids are no different than other kids and shouldn't be given special treatment. You take them to places they can handle or not. Giving your kid repeat rides and front of the line access sends the message to others to 1) do so so that they are also treated "special" and 2) sends a message to other kids if they are not as special as "spectrum" kids they have to wait in long longs. 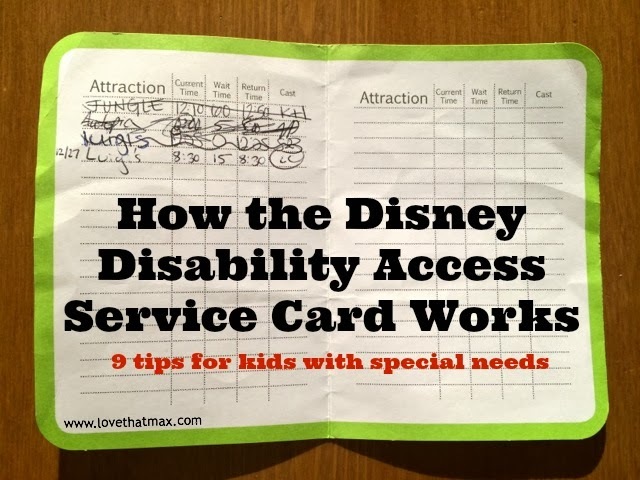 I am all for Disney tightening up restrictions with the disability card. Too much fraud and too much abuse by those with disabled family members. The card quickly became a front of the line pass which it was never intended to be. Family members now expect to be given instant access to rides. Disney did the right thing by creating a policy that still offers services to the disabled, but doesn't give them the keys to the castle. It is a fairer system now, many families are wrongly upset they can no longer just walk onto any ride they want. Fantastic article. Oliver has a major problem waiting in lines to the point of meltdown since he has little concept of time. 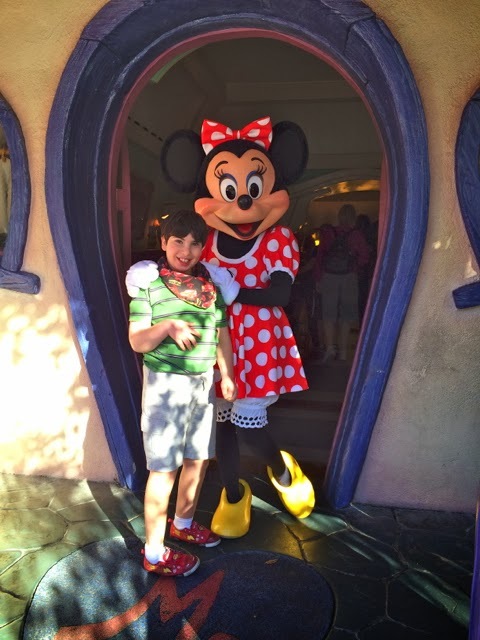 As all autistic kids, he tends to process things differently than others, but LOVES Disneyland. I am taking him for his first trip there without his mom, so it will be a father/son trip, but this will definitely help us enjoy lour day a lot more. Thank you for the fantastic advice!! We are going to Disneyland in a month and my daughter is cognitive delayed, sensory processing issues, and anxiety with crowds and noise. How long should I expect to wait at City Hall? Would my daughter be granted a pass if we needed one? Hi Rachel. I can't tell you how long the wait would be because it varies; consider calling the hotline and asking about best times. 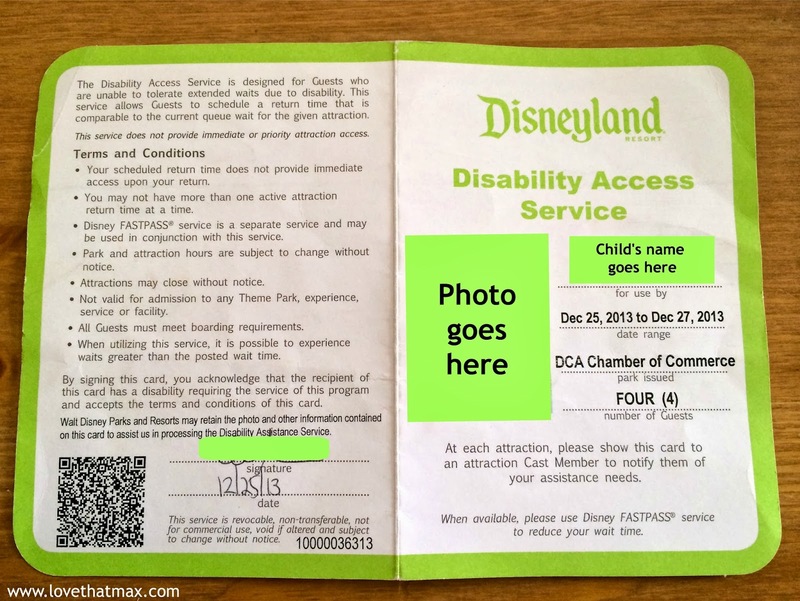 Since Disney can't ask for proof of disability (it violates HIPAA laws) you should be able to get a pass. So helpful BTW, thank you. I am starting to get really stressed about our upcoming trip. I have 4 kids, 2 with autism. Are we able to get a DAC pass for both of our kids with autism? There is no way they will want to go on all the same rides, and they often fight, so I know we will sometimes have to split up.